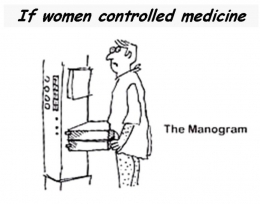 Dr. Christopher Bray MD PhD: Should Women Have Fewer Mammograms? What's Right? 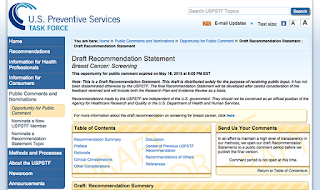 This April, the US Preventive Services Task Force, an independent panel that issues ratings for various preventive services, proposed new ratings for mammograms that would affect the amount patients would have to pay for the screening, and therefore whether they would actually get it. 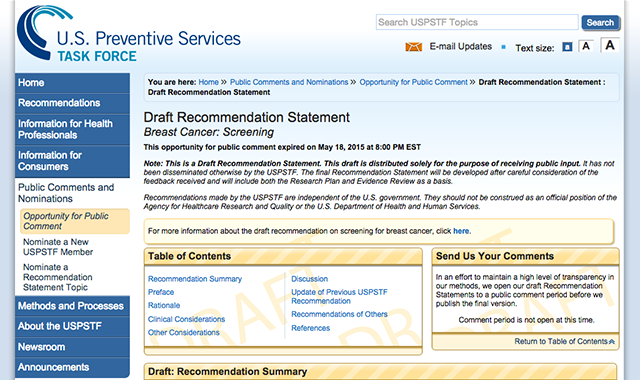 On the basis of a review of medical evidence, the task force proposed to give a "B" recommendation for mammography screening that occurs every other year (biennial) for women aged 50-74, and a "C" recommendation for biennial screening of women in their 40s. The distinction is significant for patients. Under the Affordable Care Act (ACA), the task force's "B" recommendations require insurers to waive patients' cost share—the deductible and copayment—while a "C" recommendation does not.